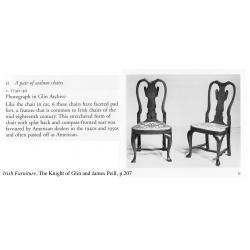 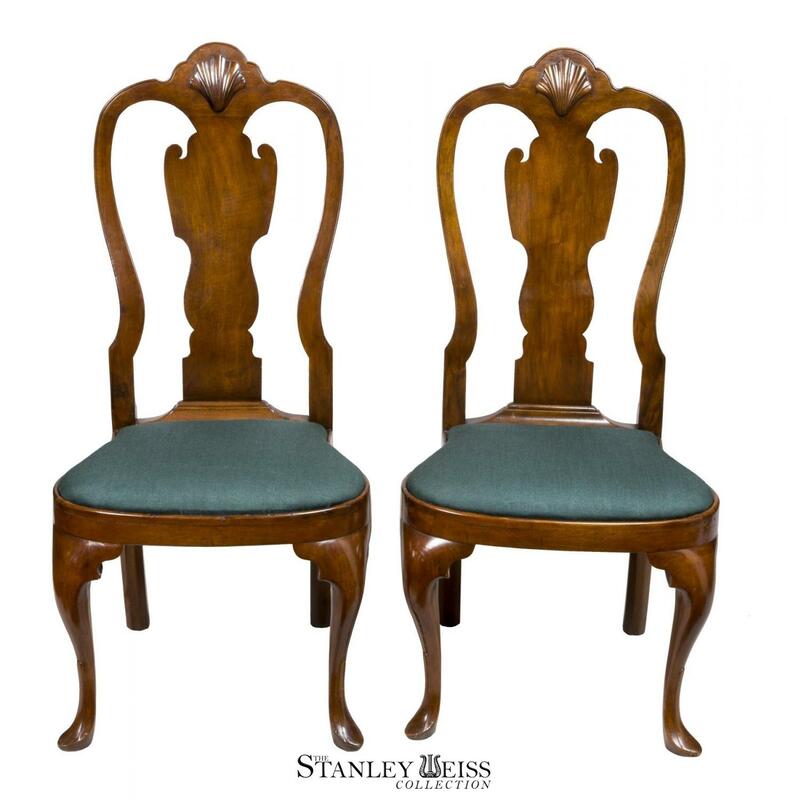 True pairs of these chairs are hard to find (as most pairs are assembled of similar--but not identical--seats). 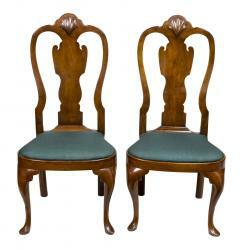 Our pair are not only original to each other, but they also have no breaks or alterations. 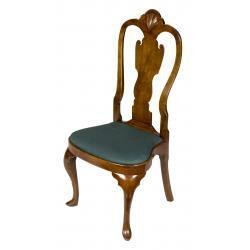 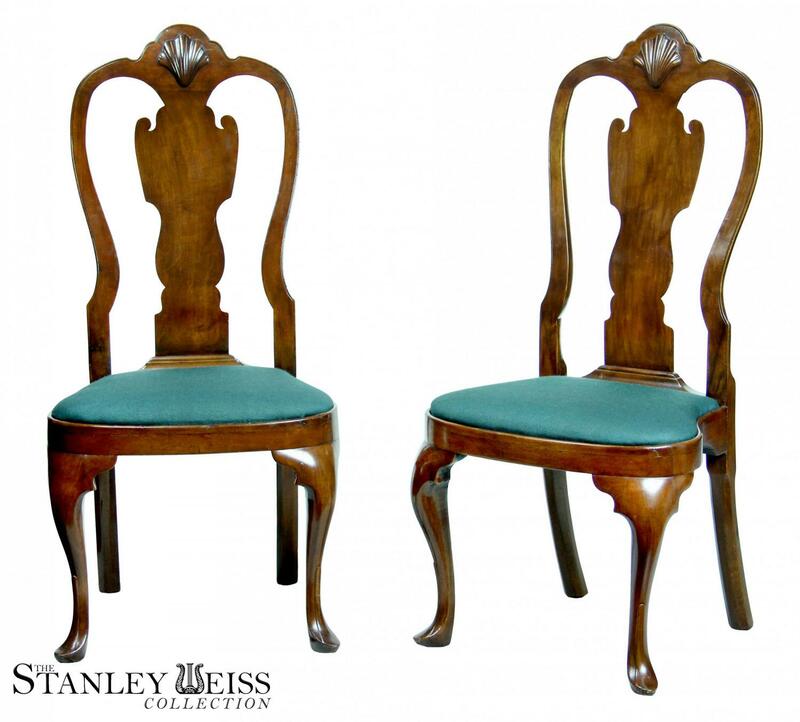 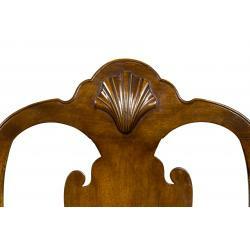 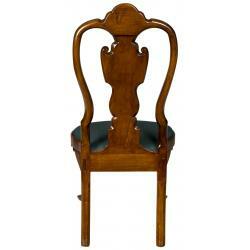 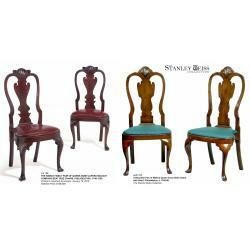 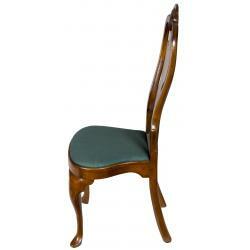 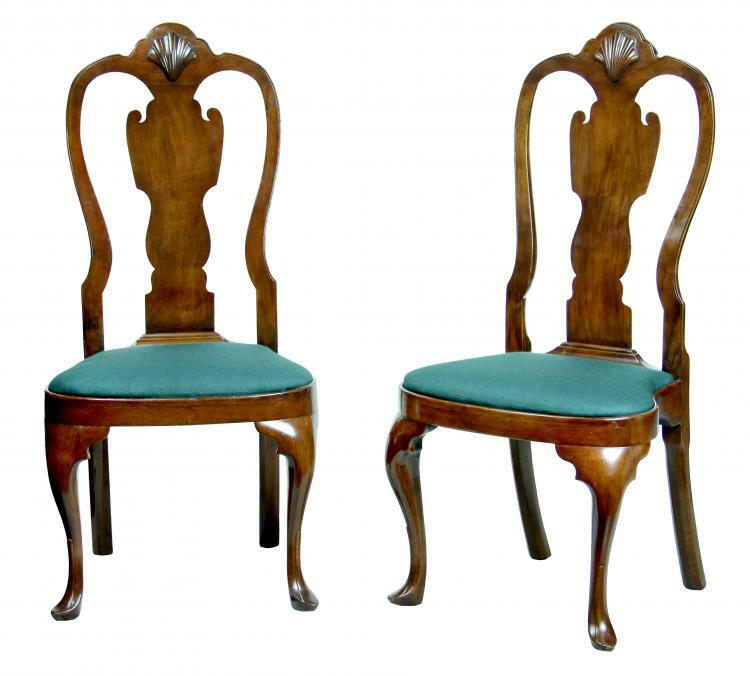 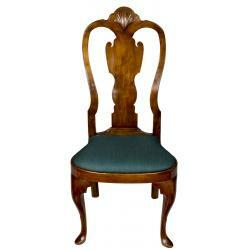 They have the beautiful style that many consider the finest of American Queen Anne chair design. 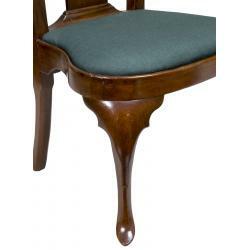 They have a beautifully sculpted side profile (see below) and the balloon seat really puts this form in a class by itself. 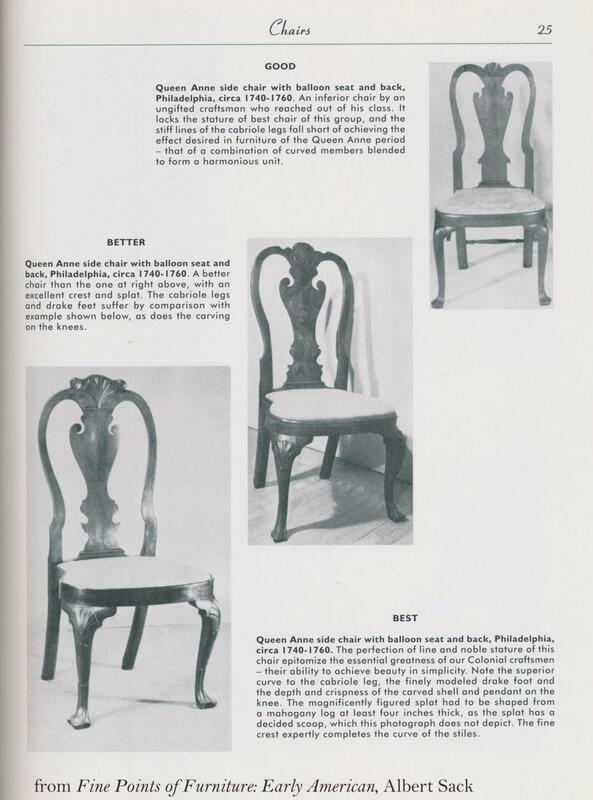 Note the splat and its relationship to splats on illustrated in Sack's Good, Better, Best (shown below); our chairs are full and well-developed. 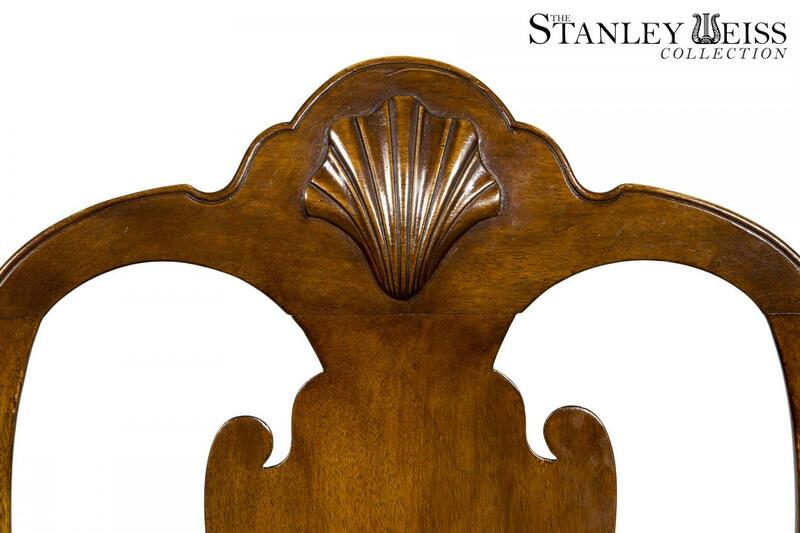 Levy Galleries illustrated a similar walnut side chair, which lacked the shell on the crest (see below). 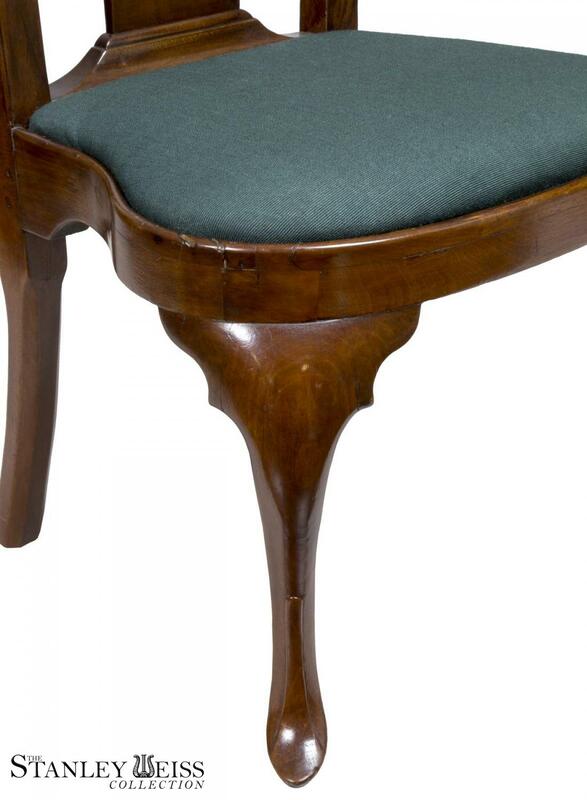 The seats have been reupholstered in a fine Vermont wool. 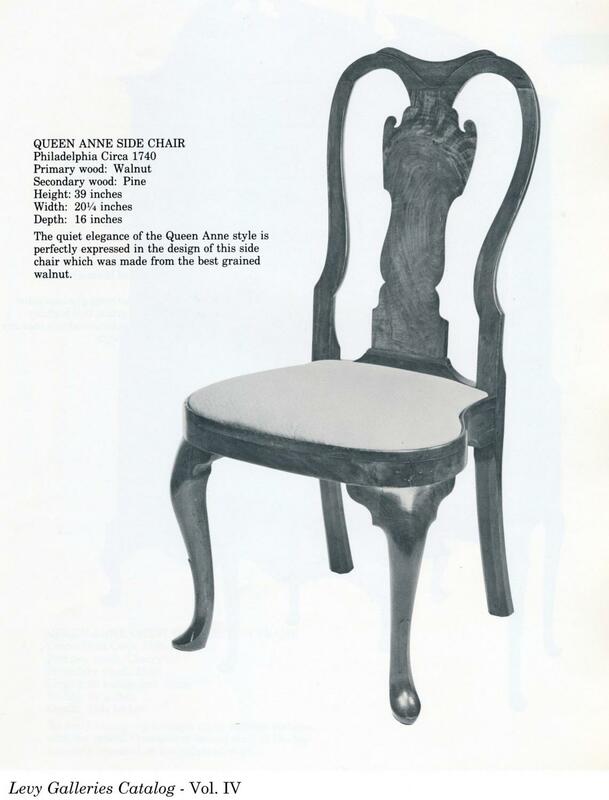 Height: 41 in. 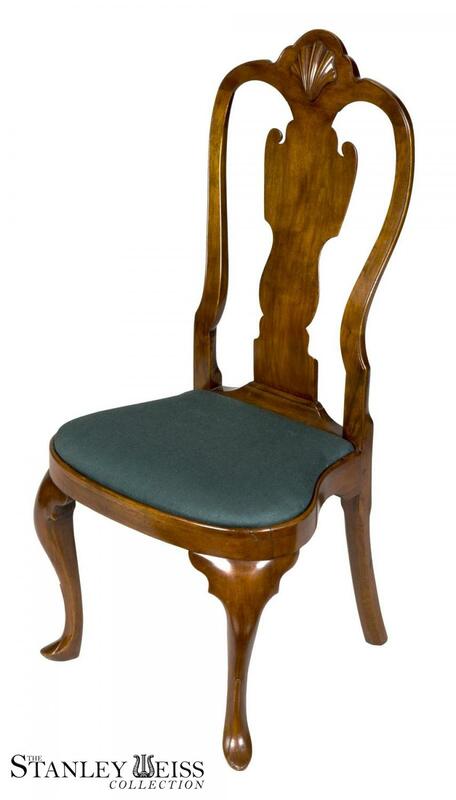 Seat Height: 17 in. 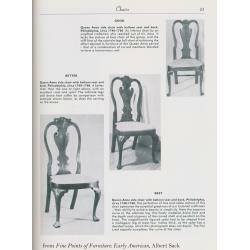 Depth: 16 in. 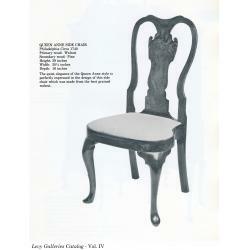 Width: 20 in.